Owen and Tata, originally uploaded by bill kralovec. All last week Owen and I rode our bikes to school. 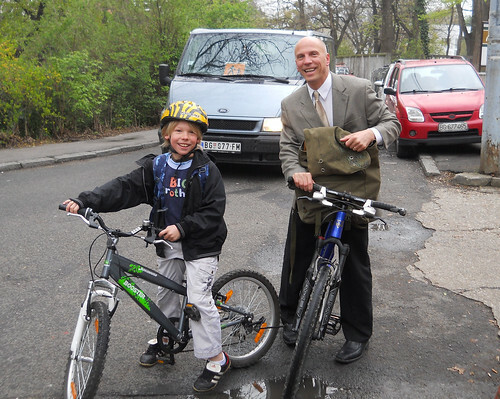 I’ve enjoyed talking with him on the way to school and showing him how to navigate through the city. We live 1 mile from school and there in not much traffic through our part of the city. It is some quality father-son time as we have time to talk. I can’t wait for Oliver to get good enough to join us. It is an great way to start the day. We hope to continue for the rest of the year.